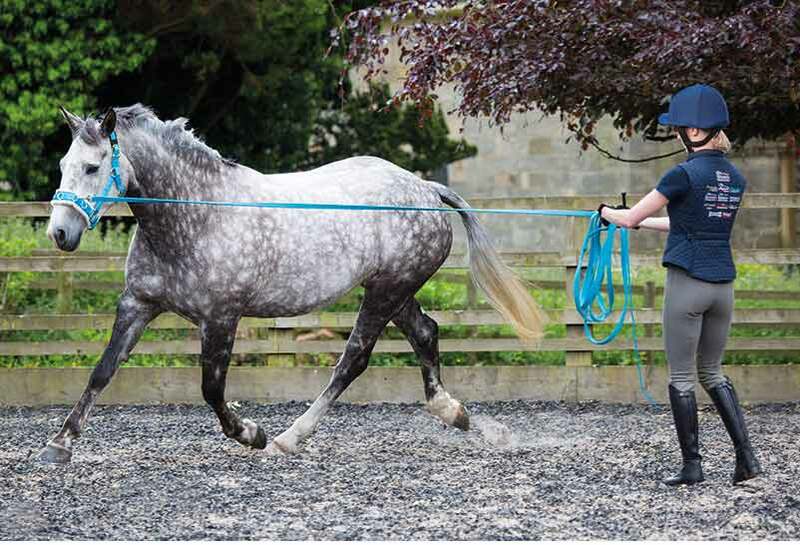 Fleece Lined Nylon Web Lunge Cavesson from Shires Equestrian. 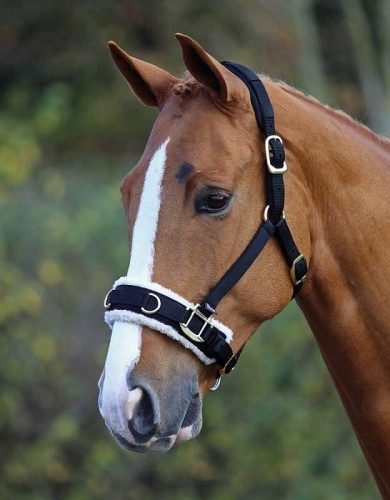 The cavesson is lined with synthetic wool fleece padding at the noseband and a repositionable fleece pad at the poll. 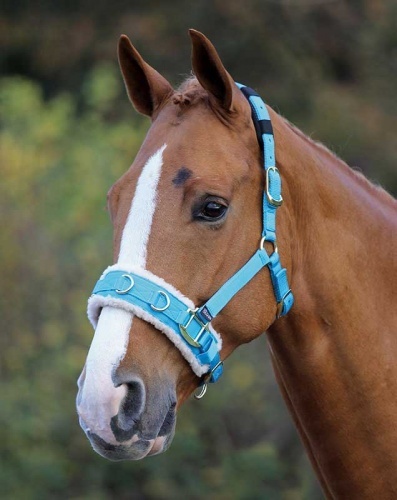 Fully adjustable noseband, throat and head straps for a perfect fit. 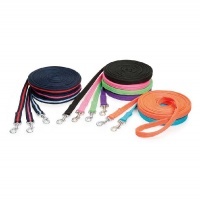 Available in Pony, Cob, Full and Xfull in Black, Blue and Raspberry. 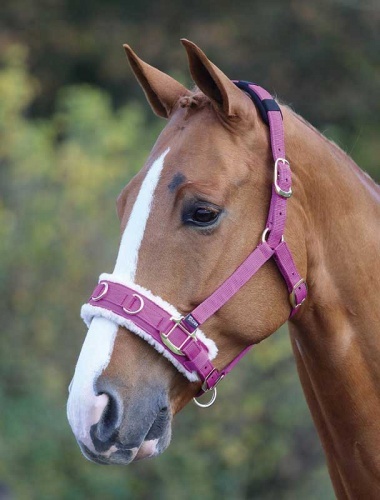 Brass coloured fittings with 3 lunge rein attachment rings on the noseband.